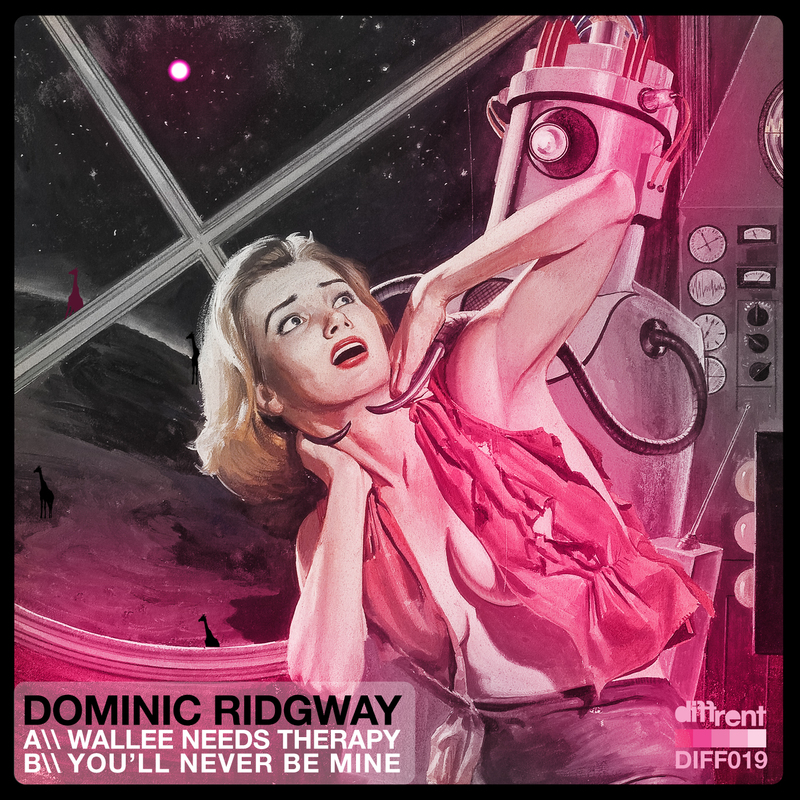 “Dominic Ridgway is no new-comer to Diffrent, with several plays from the label crew on the GiraffeCast, mix-tapes and DJ sets. Dominic has entered a new unchartered territory this year bringing his top quality production together with some outrageous groove’s and drum swings and generally the funkiest of the girrafestep sound on road. This is his first single with Diffrent, and expect many more offerings from the London based artist. The first track on this single, titled “Wallee Needs Therapy”, (you’ll have to catch up with Dominic to find out what the title really means) starts off with a fresh, mellow vibe that builds up into a really catchy, feel good vibe, the bass is real warm and the crisp half time beats layered with subtle sound effects and percussion take you into some level of hypnotism. This is one to get people in a nice mood in a club environment, radio and podcast performance (also expect to see a music video made by WeFreeTheBox on the MooTube very soon! ).